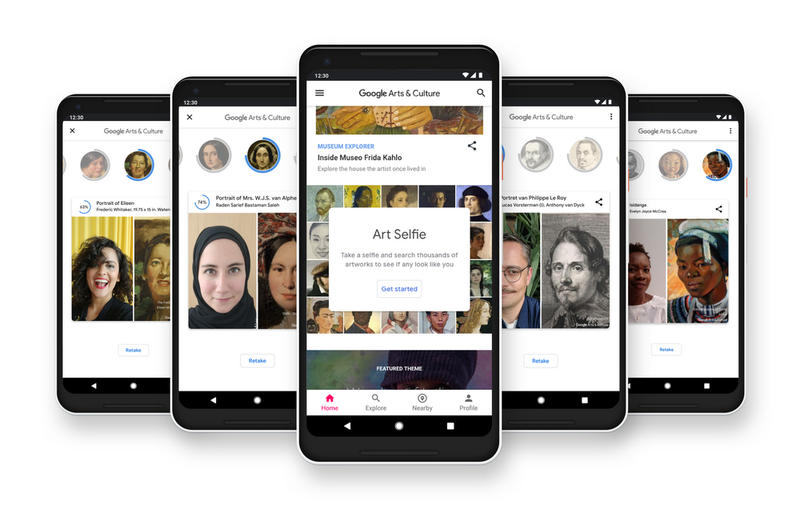 Back in January, people fell in love with art a little more.Late night hosts, football playersand vampire slayers snapped just a few of the 78 million Art Selfies taken in the Google Arts & Culture app. This was made possible by an experiment that finds your doppelgänger among tens of thousands of artworks from the collections of our partner museums from around the world. To make art more accessible to everyone, we’re making Art Selfie available globally. Thanks to the collaboration of our partner institutions, we have also more than doubled the number of artworks previously available so you can be matched with tens of thousands of portraits—sometimes with surprising results like the heart-warming example of a woman in St Louis, U.S. whose selfie was matched with a portrait of her great-grandmother, Emma. Give it a try and who knows, you might share similarities theportrait of Emperor Gojong or one of Frida Kahlo’s works. Art Selfie is powered by computer vision technology based on machine learning. When you take a selfie, your photo is compared with faces in artworks our museum partners have provided. After a short moment, you will see your results along with a percentage to estimate the visual similarity of each match and your face. Your selfie becomes a doorway into art—tap on your lookalike to discover more information about it or an artist that perhaps you’ve never heard of before. Together with our partner museums we are constantly experimenting with new ways for people to discover and interact with art. In the same spirit, keep an eye out for Art Selfie as an option in Google Lens on Android next time you use Lens on artwork. We can’t wait to see how people around the world use Art Selfie to learn more about art and culture. We trust you’ll have as much fun with the feature as this couple getting matched to husband and wife, a random Zombie or like this art fan, who visited his match in the actual museum. Jump face first into art—Capture and share your #ArtSelfie via the Google Arts & Culture app for iOS or Android (g.co/ArtSelfie).